Click the link above to download and read the full report. The Executive Summary is given below. Community Links conducted a project in 2009-2010, funded by the Nova Scotia Gaming Foundation, to explore some issues around seniors and gambling. The three methods used to obtain information on this issue were: a survey sent to 190 senior leaders and senior-serving organizations, 5 focus groups made up of 41 seniors and a review of the literature on seniors and gambling. The underlying purpose of this work was to explore the extent to which gambling is considered a serious issue for seniors in our province. Based on analysis of the research on seniors and gambling, 51 responses to the survey and discussions with 41 seniors in the 5 focus groups, several key issues were identified. It was interesting to observe the consistency between what is said in research papers and what senior leaders, senior servers and seniors themselves said in the project survey and in the focus groups. Gambling is a ‘hidden problem’ for seniors. Many more seniors are either at risk for having a gambling problem or are experiencing gambling problems than is indicated in prevalence studies and most research. People who work with or for seniors and seniors, themselves are concerned about the growing number of seniors involved in gambling activities and the growing number of gambling activities promoted to seniors. Seniors’ organizations are increasingly dependent on the revenues from gambling activities, but there is little understanding of the implications that this has both for them and their members and users. 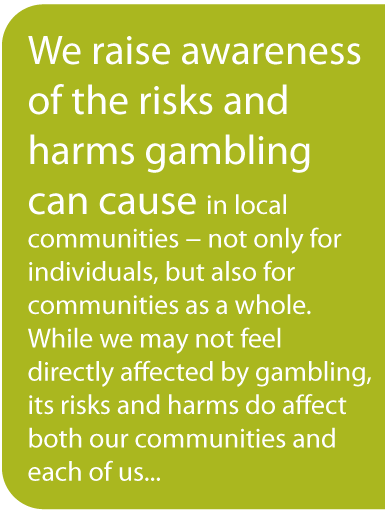 Advertising and promotional campaigns appear to promote gambling much more than caution against it or provide information for those who have problems with gambling. Seniors perceive that the role of the government in gambling activities is confusing, contradictory and disturbing. As one senior said, “the government’s foot is on the gas and the brake at the same time”. Peer support is indicated as the best way to reach and help seniors who are at risk for or who have gambling problems. Strategies and methodologies used in prevalence studies do not always suit the senior population. 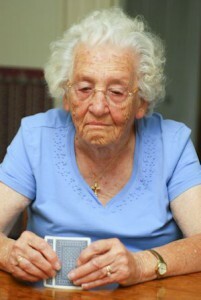 Seniors are very reluctant to admit to having gambling problems, particularly in a survey. Community Links is a provincial organization with a membership of 240 mainly senior and senior-serving organizations with a mandate to support seniors’ wellbeing in Nova Scotia. The organization has considerable experience in undertaking both large and small projects and efforts which engage seniors around issues of concern to them and the community.